Blog Technology & Tools How to Modify Feedburner Email out Timing and Email Branding? How to Modify Feedburner Email out Timing and Email Branding? Email marketing is one of the major strategy for lots of companies. There are numerous email marketing tools out available for us to use. Some in the form of free plugins and some are paid. At Crunchify, we are using Google Feedburner for sending out daily emails about newly published articles. 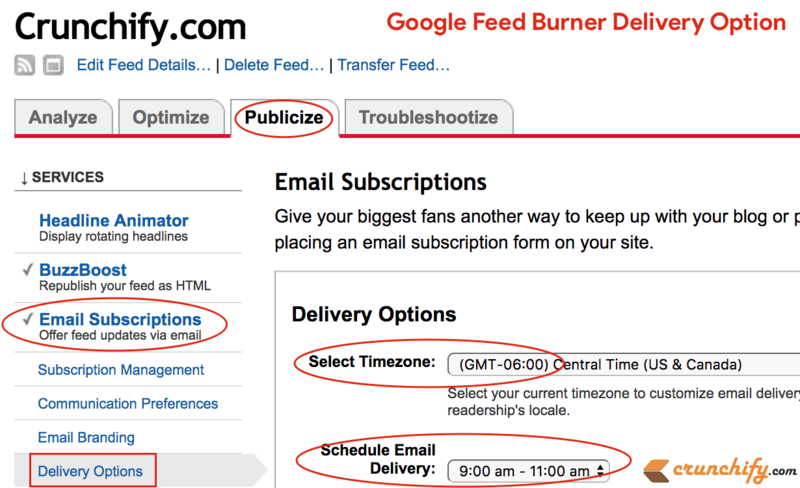 With more than tens of thousands of subscribers we like the way Google Feedburner allows us customization multiple options. 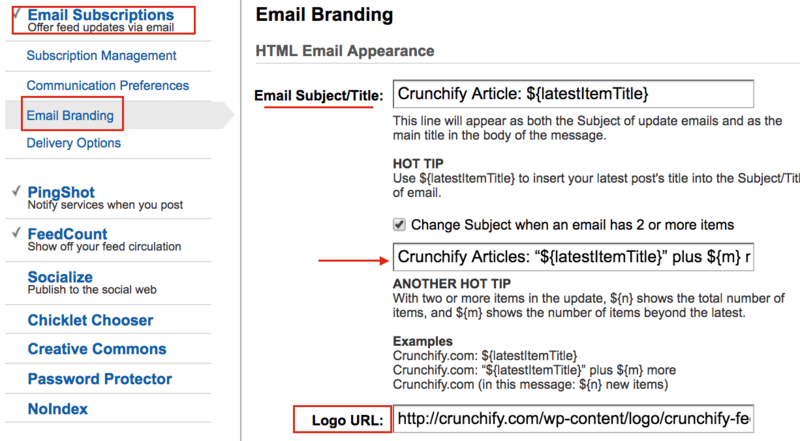 In this tutorial we will go over how to modify Email out Timing and email branding. Go to Email Branding Option. I would suggest you to modify below options. Logo URL: Make sure logo width is no longer than 200px. That’s it. I have modified these options since beginning and so far the feedback I got from users were great. What is the best time to send out an email newsletter? Based on popular survey it seems, Email open rate is highest @10am. Also, email acceptance rate is highest @mid-week (Wednesday, Thursday).